Owls are a bit challenging to find and view. We have only encountered this Luzon montane owl three times before May 2013. Twice we heard it calling in Mt. Polis and another time it flew overhead but we did not get to light it so we did not count it as a lifer. When we eventually saw it in May 2013, thanks to Nicky Icarangal, it was a great and satisfying look. 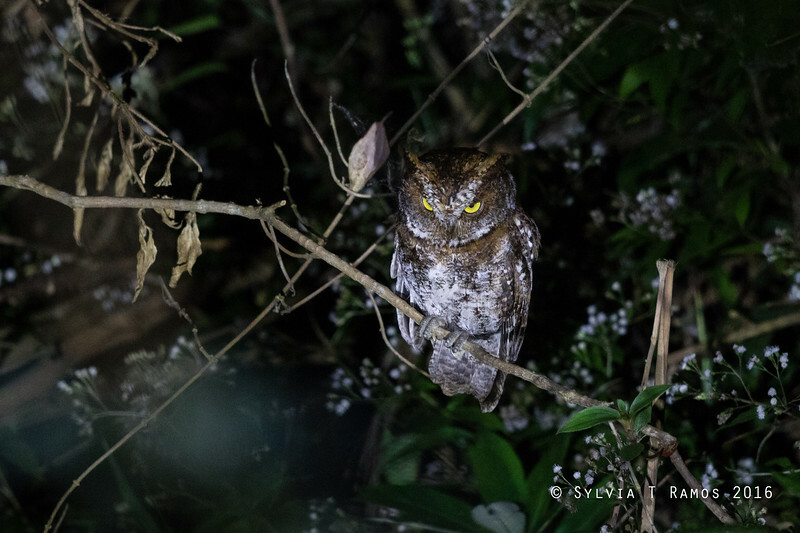 Yellow eyes versus red in Philippine Scops with a lighter grey feathers in the chest. A very small owl at only 7" just half of megalotis. We first thought it was a big pine cone.